The Australian Commission on Safety and Quality in Health Care has developed this Charter. It specifies the key rights of patients and consumers when seeking or receiving healthcare services. 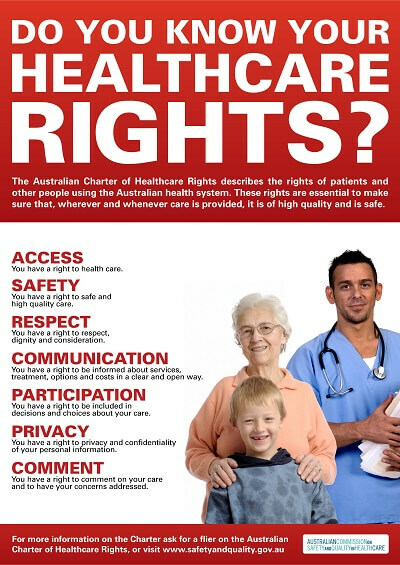 In July 2008, Australian Health Ministers endorsed the charter as the Australian Charter of Healthcare Rights for use across the country. The charter applies to all health settings anywhere in Australia, including public hospitals, private hospitals, general practice and other community environments. It allows patients, consumers, families, carers and service providers to have a common understanding of the rights of people receiving health care. ACCESS – You have a right to health care. SAFETY – You have a right to safe and high quality care. RESPECT – You have a right to respect, dignity and consideration. 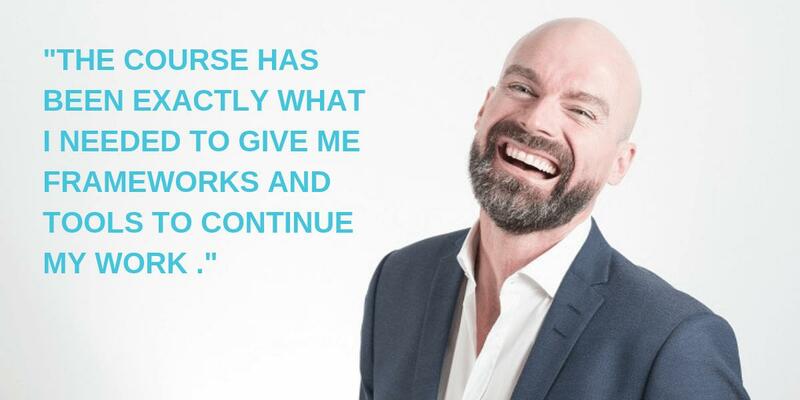 COMMUNICATION – You have a right to be informed about services, treatment, options and costs in a clear and open way. PARTICIPATION – You have a right to be included in decisions and choices about your care. PRIVACY – You have a right to privacy and confidentiality of your personal information. COMMENT – You have a right to comment on your care and to have your concerns addressed.